Fans of the Subaru Outback probably weren’t surprised by the refreshed 2013 model revealed at the New York International Auto Show this week, but the vehicle now showcases more of what won over those fans in the first place. Boasting more power and fuel efficiency, the 2013 Subaru Outback will continue to cater to those that need a distinctive and versatile crossover when it arrives at Subaru dealerships this summer. The 2013 Subaru Outback wagon will get a new standard 2.5-liter Boxer engine that not only boosts output by three horses to 173 horsepower, but also provides greater low-end torque for more responsive driving. Subaru also predicts that the new drivetrain will improve combined highway and city fuel economy to 26 mpg when mated to the Lineartronic CVT, a 2-mpg improvement over the current drivetrain. Visually, the refreshed Outback benefits from an aggressive new front end and a new light matte wood grain trim inside. Beyond the new drivetrain and updated styling, chassis and body enhancements provide a smoother, quieter ride in the 2013 Outback, meaning owners can listen less to road noise and more to their speaker system. The automaker also claims to have improved the wagon’s handling, reducing body roll by up to 40 percent. For gear junkies, the 2013 Outback will be able to better accommodate kayaks and other long outdoor equipment, with the rear roof crossbar now capable of moving further back. The new 2013 Subaru Legacy also made its debut in New York this week, sporting the same efficient 2.5-liter Boxer found in the Outback. With its new powerplant, the Legacy is expected by Subaru to return up to 32 mpg on the highway while delivering more power than the outgoing engine. That means the 2013 Legacy will remain the most fuel-efficient all-wheel-drive midsize sedan on the market when it goes on sale this summer. Both the 2013 Subaru Legacy and Outback will offer the automaker’s new EyeSight safety technology as an option. By using two windshield-mounted cameras to collect a stereo image, EyeSight’s computer analyzes the road to detect potential hazards. The driver-assist system can then apply brakes to lessen the impact of a collision, adjust cruise control speeds to reflect surrounding traffic and warn drivers as they drift out of a lane. 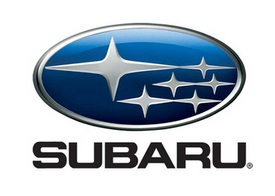 Since 2004, Mastria Subaru has served its customers with outstanding Subaru service, sales and parts. With a customer-first attitude and a willingness to go the extra mile, Mastria offers Massachusetts Subaru fans a wide selection of Subarus, whether it is an Outback, Legacy, BRZ, Forester, Impreza, WRX or Tribeca. With a state-of-the-art Subaru service center, their dealership is well equipped to service all your vehicle’s repair needs. Located at 1255 New State Highway in Raynham, Massachusetts, Mastria can be reached by phone at 888-820-9015 or online at www.mastriasubaru.com, and they can be found on Facebook at www.facebook.com/MastriaSubaru.